Once more after months of planning and following on from the disappointment of the Somme, General Douglas Haig was to commence with his next “Big Push”. The objective was to clear the Germans from the salient that had been created east of the town of Ypres, resulting in a long stalemate and to push on through to the German submarine bases on the coast of Belgium. Months of planning had taken place. Political wrangling in Westminster questioned whether it should take place or not, but now Haig had his way and battle was to commence. “Tuesday, July 31st, was the ‘Great Day’. At 3.40 a.m. a terrific bombardment began. Every British, French and Belgian gun from the coast to Messines went full blaze. The din was terrific, and the Bosche line was a sight worth seeing. It was a mass of flame. I stood outside a dug-out near the canal bank and watched the hellish performance. As dawn broke one couldn’t see the Pilckem Ridge for smoke. The ground trembled, and the air was filled with the shrieking and swishing of shells as they rushed along to deal death and destruction to the enemy. I was detailed to report for duty to the A.P.M. at the prisoners of war cage at McMahon Farm. Here I was to attend to German wounded. Soon they came rolling in. 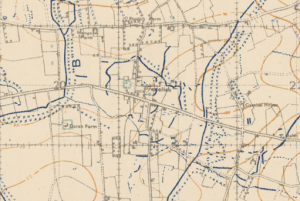 During the day the 38th Division took about 800 prisoners, and about 300 of them were wounded, some pretty badly. Haig was buoyed by news of early successes. General Gough had told him they had taken as many as 5000 prisoners, but others put it as low as 3000. Nevertheless he saw it as a great achievement. Colonel Eugene “Micky” Ryan was the Chief Medical Officer at GHQ and as such Douglas’s ultimate boss. Ryan was one of the few men to have the complete confidence of Haig and was able to talk to Haig in a totally frank manner. Such was their respect for each other, they remained friends until Haig’s death. He reported around 6000 wounded, mainly from shellfire, had been treated in the ten hours up to 6pm. Haig wrote what now seems hard to equate, “Wounded very cheery indeed”. Maybe thankful that they were still alive and hoping their war was over. For quite a while Douglas and his colleagues had been kicking the dust around in the area north west of Poperinghe due to the prolonged summer weather. All was about to change now, preparations for the large-scale battle that was nearing its start had been dominating the area for some time. Although activity including much artillery action had continued unabated, the big one was almost ready. 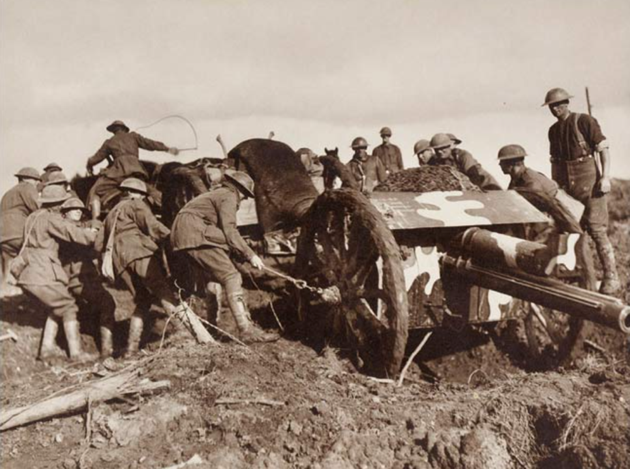 Haig and his chiefs of staff were confident that the intense training and meticulous preparations would soon pay off. The Generals hoped the lessons from last year on the Somme had been learned and mistakes could be rectified. Just like at the Somme though, the Allies failed to use surprise as cover for the attack. An artillery bombardment that lasted two weeks this time, came from 3000 guns, depositing four and and a half million shells and acting as a calling card. They failed to dislodge the Germans from their heavily fortified positions. Germany knew and expected the offensive to begin quite soon. Suddenly however, the weather turned. Just like now in 2017 the hot sunshine turned to heavy downpours and in a short period of time the countryside already smashed up with little effective drainage, turned into a quagmire. 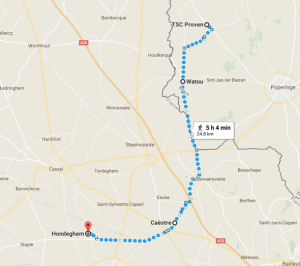 Having spent time around Proven and then on to Saint-Sixte which is the location of a Trappist beer producing abbey, Douglas and his men move on to the camp at St. Sixte and then on to Capernoll Farm. 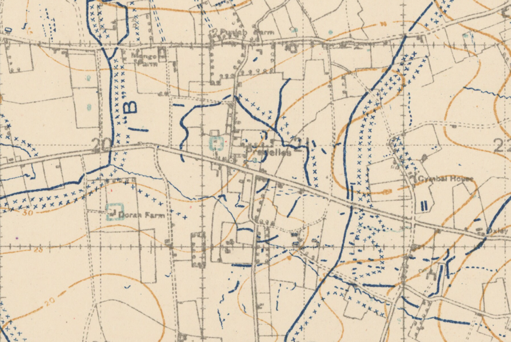 Look on the British trench map dated 30th June 1917. In the top left corner you can see St. Sixte and towards the middle International Corner. To the right of that lies Coppernollehoek (Coppernoll Corner or Copernoll Farm)? “On Friday, July 27th, we moved forward to Capernoll Farm, where we were accommodated in tents. That night a large number of Hun planes crossed our lines and dropped huge bombs all round us. They dropped lights which lit up the whole countryside. The noise was terrific. Our searchlights and anti-aircraft guns got busy. We got badly scared, and spent most of the night lying in a ditch. In the early morning our guns bombarded the enemy lines with terrific intensity. 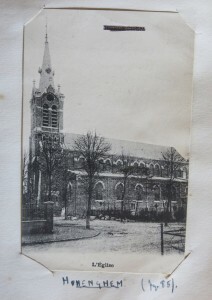 “On Sunday 22nd, there was a most impressive church parade in a clearing in the road. It was conducted by Capt. Howard, and the 115th Brigade Band led the praise. 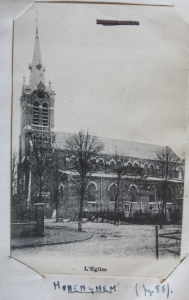 At night there was a gas alarm, and several enemy aeroplanes flew over, and dropped bombs. Douglas mentions “the gorgeous weather” that they were enjoying. The dry ground would have been the kind of conditions that Haig and his Generals were hoping for while planning for the Big Push. The thing was, would it hold out? 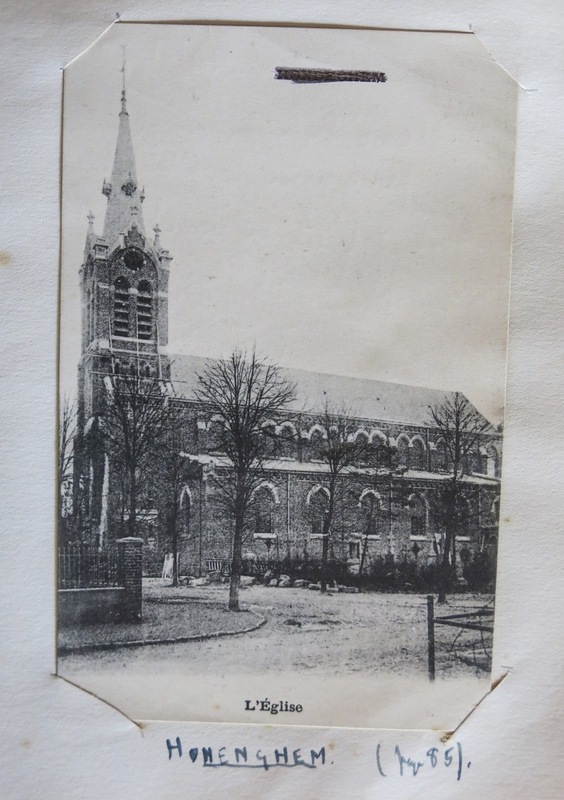 The diary of a Belgian priest, not too far away to the southwest of Poperinghe, near Dickebusch, also comments about the number of observation balloons he can see: twenty three British balloons and eight German ones. He also lamented the fact that today was Belgian Independence Day but there were no Belgian troops left in the area to celebrate in his Church. Haig, however was feeling a little alarmed about a letter from The Chief of the Imperial General Staff, Sir William Robertson telling him that the Cabinet had not yet approved Haig’s plans for the forthcoming offensive. He wrote back complaining that the plans had been agreed as far back as the previous November, immediately after the official ending of the Battle of The Somme! Robertson, felt confident that although relations with the new Prime Minister Lloyd George were strained, approval would soon follow. 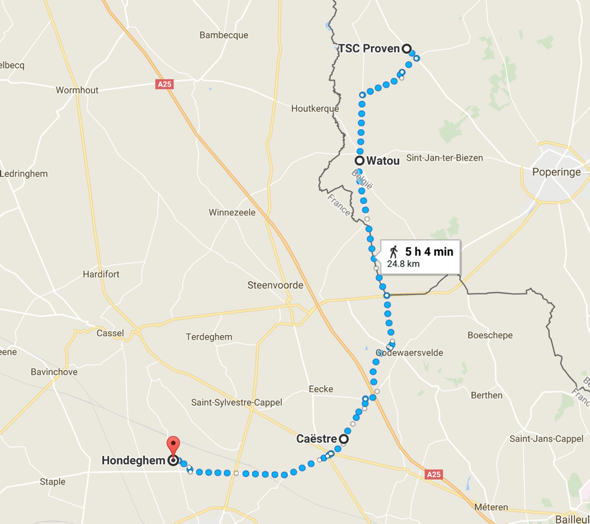 This with arrangements pretty well advanced around Ypres. 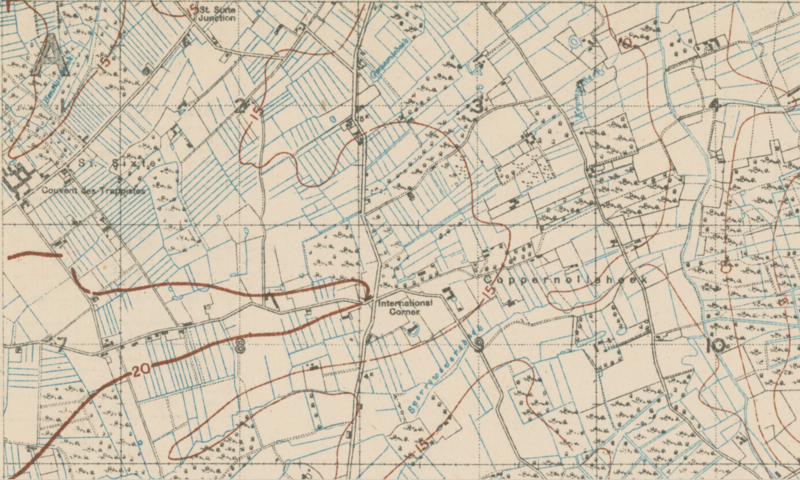 In the Dickebusch area the day also saw a great deal of artillery action from both sides early in the morning and throughout the day, with some spectacular results as ammunition dumps were hit. Douglas set out from Proven to drive around the neighbouring clearing stations and bears witness to what was the assembling of forces for the next “Big Push”. The area to the west of Ypres was a bustling collection of logistics as the Allies assembled troops and equipment around the area. Now only 12 days away from what was to be one of the war’s biggest actions and certainly the biggest since the relatively unsuccessful campaign on the Somme the previous year. Douglas’s comrades had taken such heavy losses on the Somme that they had been withdrawn from the front line, but were now preparing to rejoin the sharp end of business as now evidenced by build-up to the 3rd Battle of Ypres. General Haig had somehow managed to convince his bosses back in Whitehall that the awful losses of 1916 could be avoided this time with one more large offensive. The hope was that a swift decisive action would be more successful without such a great loss of life. The Americans had just entered the conflict and confidence amongst the Generals was high. Not so high though in the French Army whose men, depressed at the huge loss of life for little gain, and lack of pay had lost faith in their leaders and had begun widespread mutinies. 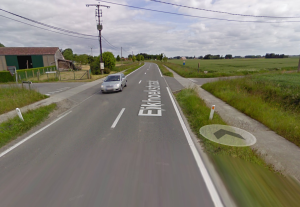 International Corner was at the intersection of where allied armies met. The new tent hospitals were in place to accept the expected casualties as were the new hospital trains. At Haig’s request in 1916, Chinese men were recruited into the Chinese Labour Corps and transported directly from the poverty stricken areas of China, with the lure of high or even regular wages. The end of 1917 would see 54000 of them in Flanders. The rise in number only halted by the British Navy being unable to guarantee transportation from China. 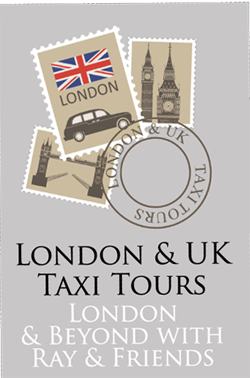 Many other nationalities were recruited from throughout the British Empire including aboriginal Australians and many Africans and Indians. 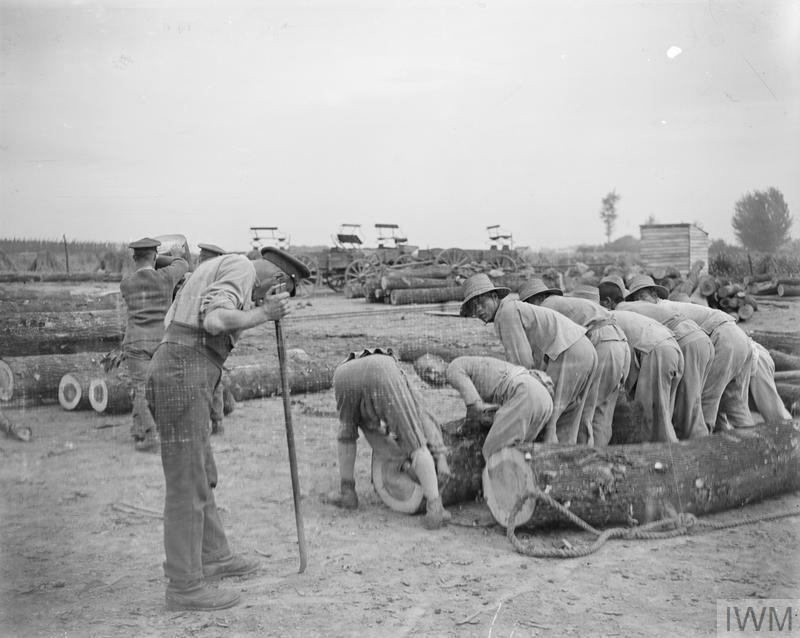 Many fought on the front line, but many just came as labour, building the infrastructure to serve the army. 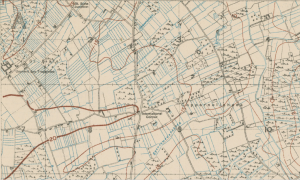 The Franco/ Belgian border existed only on a map in the reality of the conflict in Flanders, so often was it crossed by troops of both sides. 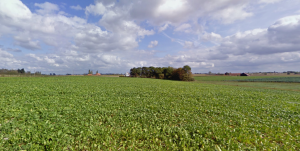 The early start was the commencement of a 25 km trek back to the area north-east of Poperinghe. 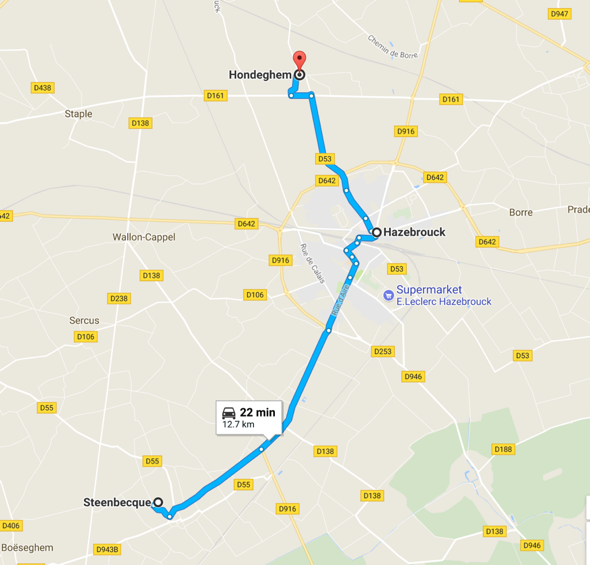 Continuing the theme of place names that don’t reflect the modern spelling, Douglas and his men left Steenbecque for Hondeghem, via Hazebrouck. In the modern world it would take about two and a half hours to walk the journey, giving some measure to the amount of congestion the men were encountering on the journey. Below is an extract from the 13th Welsh diary. This highlights some of the spelling mistakes in the diary as to name places etc. 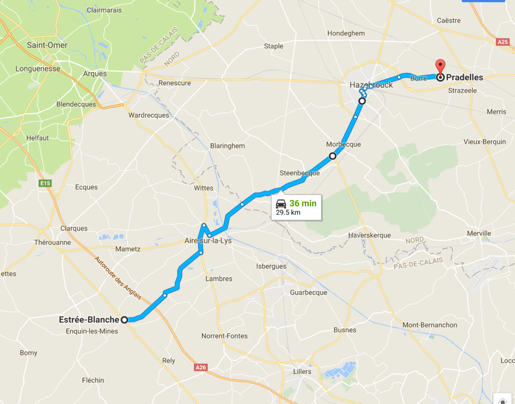 Prandelles was in fact Pradelles and Stenbecque was Steenbecque, which is quite important when trying to locate places. It has been a recurring feature in the diary, possibly indicated that it was typed up from notes (now lost) by a third party. This coupled with official name changes and alterations that have evolved over the century since the war. This is not confined to this work, but is a slow process that takes place in all areas over time. The activities of estate agents is one source of this, along with natural movement and development. For instance, the area near Arsenal Stadium seems to have changed in recent years from Highbury Hill to Arsenal and is beginning to be reflected as such on modern maps. A naturally occurring phenomenon that just adds a degree of difficulty to the researcher’s work. By 1917 military aircraft development had come quite a long way, probably thanks to the demands of war. 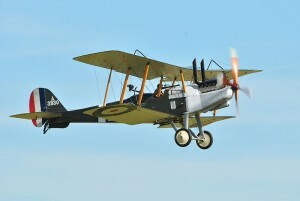 The fastest machines available to the Royal Flying Corps at the time were the S.E. 5 and 5a. S.E. 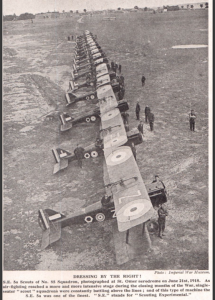 stood for Scouting Experimental and production at the new Royal Aircraft Factory in Farnborough, Hants., was in full swing. The S.E. had been designed to try and negate the high level of fatalities being inflicted on Britain’s inexperienced new young pilots. Being easier to fly, the S.E.5 became one of the war’s most successful aircraft, soon developed into the more powerful S.E.5a its single cockpit was augmented by two machine guns and had a service speed of 138 mph. It is no surprise therefore that the pilots had claimed to Douglas a top speed of 160 mph, as this might have been possible in a powered dive. I am grateful to Mr. John Steward of the Farnborough Air Sciences Trust Museum for the photograph taken from his copy of “Twenty Years After. The Battlefields of 1914-18 Then and Now”. The machine that Douglas enjoyed his “falling leaf” adventure in is lost to history, but a likely contender was the two seat R.E.8 bi-plane that was ubiquitously employed on the Western Front for reconnaissance and light bombing duties. Over 4000 of them were produced during the war. It wasn’t the only type that he could have flown in but the sheer numbers of them make it a reasonable choice.